PokerStars Caribbean Adventure — David "Chino" Rheem Wins! PokerStars Caribbean Adventure — David “Chino” Rheem Wins! 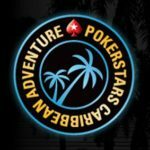 HoldemRealMoney.com > Uncategorized > News > PokerStars Caribbean Adventure — David “Chino” Rheem Wins! David “Chino” Rheem is the official winner of the PokerStars Caribbean Adventure Main Event 2019. He eliminated all his opponents, taking his time for each one, only to add another huge score to his portfolio which already consists of many successful tournaments and big scores. The event took place at the Atlantis Resort which is located in the Bahamas, where the PokerStars Caribbean Adventure was underway for the last couple of days. David “Chino” Rheem is definitely the man who stole the show and managed to find his place under the spotlights. Rheem currently lives in Los Angeles, California and is 38 years old. He has a long and successful poker history and gained a lot of experience which he used to top the field of 865 players and win the second biggest amount of money from a poker tournament in his lifetime. Rheem managed to collect a total of $1,567,100 which is the reason why he entered the best of the best and become one of the members of the $10 million list. Rheem definitely has a reason to celebrate his success as winning such a great tournament is definitely worth celebrating. The last victim of Rheem’s dominant playstyle. However, the prize Strelitz received was not so bad either. In fact, the amount of $951,480 was his second highest win, which is very close to his highest one which he managed to win back in 2017 on a WPT event. The first sentence that Rheem managed to utter after winning the Main Event was that it was an honor. He added later that he was very grateful to have had the opportunity to visit the Bahamas and play in such a prestigious tournament. Furthermore, he stated that he was blessed to be able to win such a big tournament. If you were able to watch the final table of this tournament, you probably witnessed history being made. The players were all easy going, making jokes, and enjoying themselves as if they didn’t play the final table of a prestigious event. Rheem was also one of the players to take part in back-and-forth banter but remained focused on the game nevertheless. He stated that things had been going his way during the whole tournament and that nature had run its course and made things really fun. The third place was reserved for the player from Canada called Scott Wellenbach who won a total of $671,240, and the fourth place was occupied by Pavel Veksler from Ukraine, who managed to win $503,440. Vicent Bosca from Spain was fifth with $369,880, and Brian Altman from the US managed to end up sixth and win $297,020. The last two places in the final table were occupied by Mihai Manole from Romania who won $208,920 and Marc-Andre Ladouceur from Canada who won $146,840, respectively.